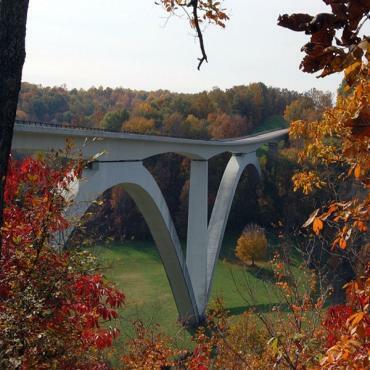 The 444-mile Natchez Trace Parkway follows an ancient Indian trail that connected southern portions of the Mississippi River, through Alabama, to central Tennessee. 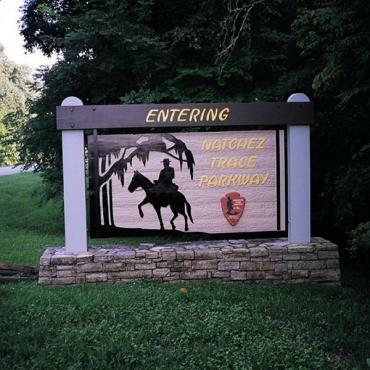 Thanks to treaties in 1801 between the United States and the Chickasaw and Choctaw tribes that allowed the U.S. Army to improve the route as a post road, it became the 19th-century road between Nashville, Tennessee, and Natchez, Mississippi used by Native Americans and early white settlers. Today, visitors can experience this National Scenic Byway and All-American Road through driving, hiking, biking, horseback riding.